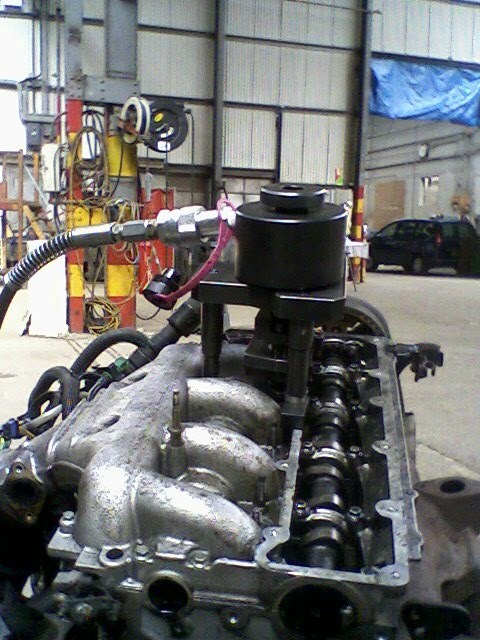 Being solenoid injectors they are predominantly very reliable and usually require removal when the camshaft timing belt fails to allow removal of the cam cover and access to the sacrificial rockers which usually fail as a consequence of belt failure, other reasons for removal are wear and tear, mis-fueling or head gasket failure. Cam belt failure is the most popular cause of injector removal and although the lifespan of these belts was originally 100,00 miles this was dramatically reduced very quickly due to water dripping onto the belt, it is highly recommended to have the belts changed long before they are due and immediately if you don't know when it was last done, don't risk it belt failure is writing off many of these otherwise roadworthy and popular vehicles. Due to restricted access a large amount of ancillary's need to be removed for access or preferably the engine needs to be out of the vehicle. Due to the forces required it is also common for the injectors to stretch making them non reusable and effectively scrap. Two bolts hold each injector and due to their size are very weak it is recommended to replace these each time they are removed, they do not usually seize in.